Activision and Bungie took the stage at the Gamescom conference in Cologne, Germany to share new details about Destiny. First up is this competitive multiplayer trailer, which shows a bit of Crucible action that will look somewhat familiar to anyone who took part in the beta, but featuring characters at much higher levels and in many more game modes. Modes shown include: Skirmish, which is a small team deathmatch where players can revive downed teammates; Rumble, which seems to be a full-on one-on-one deathmatch; Salvage, a team mode with a relic salvage goal; Clash, described as “all-out team warfare”; Combined Arms, which also all-out team warfare but includes vehicles; and good old Control from the beta, which is about capturing zones. There’s also a preview of The Iron Banner, a Crucible mode where balancing to make “fair” loadouts is thrown out the window and you’ll need to have the best gear to survive. At its presentation it was also announced that Destiny’s first expansion The Dark Below, will be out in December for all platforms. 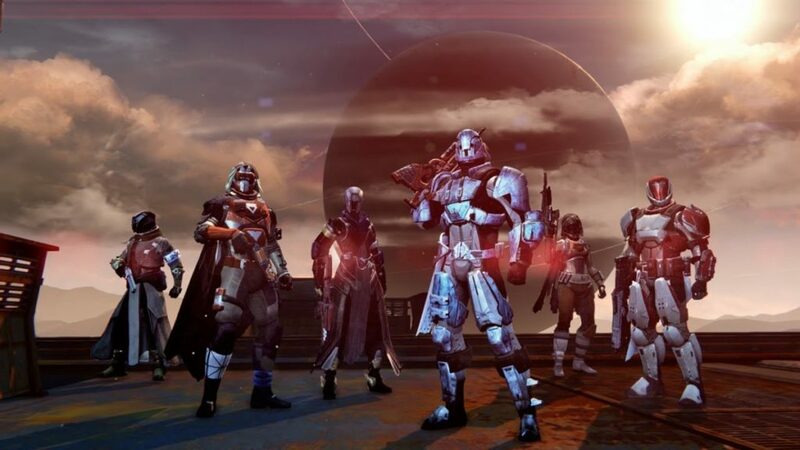 It’s the first of two planned expansions, the second titled House of Wolves. Not getting the multiplatform love was the Exodus Blue map, which was announced as a timed exclusive for PlayStation systems. And Activision and GameStop took a moment to say that Destiny is GameStop’s most pre-ordered new IP in history. Destiny will be out Sept. 9 for PS4, PS3, Xbox One, and Xbox 360.